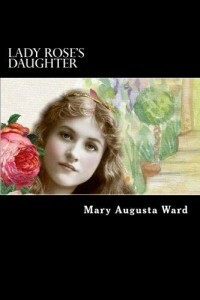 1851 - Mary Augusta Ward (née Arnold), Australian-born British novelist who wrote as Mrs. Humphry Ward. 1877 - Renée Vivien (born Pauline Mary Tarn), British Symbolist poet who wrote in the French language. 1899 - Yasunari Kawabata, Nobel Prize-winning Japanese novelist, best known for Snow Country. 1910 - Jacques Cousteau, French oceanographer, filmmaker, author, and conservationist. 1925 - William Styron, American author; winner of the National Book Award and the Pulitzer Prize for Fiction. 1932 - Athol Fugard, South African playwright and novelist, known for his opposition to apartheid. 1933 - Gene Wilder (born Jerome Silberman), popular American actor, screenwriter, director, producer, singer-songwriter, and author. 1939 - Christina Crawford, American writer and actress, daughter of Joan Crawford, and author of the book Mommie Dearest, chronicling their abusive relationship. 1943 - Iain Sinclair, Welsh/British writer and filmmaker. 1944 - Marjorie B. Garber, Harvard professor who has authored a variety of books, most notably about William Shakespeare and popular culture. 1945 - Robert Munsch, American-born Canadian children's author. 1947 - Bill Findlay, Scottish playwright and translator. 1947 - Israel Sham (also known as Jöran Jermas and Adam Ermash), a Siberian-born Swedish/Israeli writer and journalist who comments on Arab/Israeli relations and Jewish culture. 1955 - Duncan Steel, British/Australian scientist and author of popular works on science. 1960 - Mehmet Oz, American/Turkish surgeon, television personality, and author.